FIXED interest rates have fallen to an all-time low - but most home loan customers are failing to take advantage. Some financial institutions are offering three-year fixed rates below five per cent and experts believe they will not fall any lower. By comparison, major lenders' standard variable rates are still averaging more than 5.7 per cent, even after the typical 0.7 per cent discount. 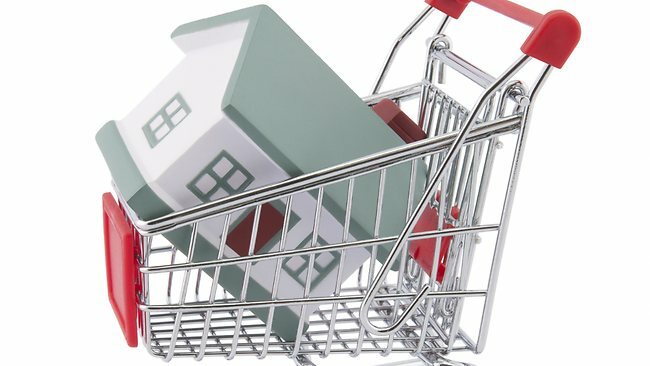 Yet the latest data from the Australian Bureau of Statistics shows only 12 per cent of customers who took out mortgages this year have fixed their loans, compared to more than 20 per cent who locked in a rate above 8 per cent in 2007 in the run-up to the global financial crisis. Those currently on a variable interest rate are, in effect, betting it will not only fall lower than fixed offers - but that it will continue to fall. For example, if in the next 18 months their variable rate was cut by 0.25 per cent three times to less than 5 per cent, there would still need to be three further cuts in the subsequent year and a half to make up for the additional interest costs incurred in the first 18 months. This calculation does not take into fees. While some economists are forecasting further official rate cuts, HSBC economist Paul Bloxham said it was unlikely the Reserve Bank of Australia would reduce borrowing costs further the cash rate has remained at 3 per cent since December. "In our view we don't think the RBA is going to cut the cash rate any further so you would think it is not an unreasonable time to be considering potential fixing," he said. "Fixed rates certainly look very competitive at the moment relative to history." If the average discounted variable rate remained unchanged, a household which had $300,000 would pay nearly $8000 more in interest over three years than a family that fixed at 4.99 per cent. Again, this calculation does not take into account fees. ABS figures showed after the GFC customers steered away from fixed loans with just 5 per cent of new customers locking in rates in both 2009 and 2010. But in recent years the numbers have slightly increased, 8 per cent of customers locked in rates in 2011 while 13 per cent locked in their loans in 2012. 1300HomeLoan managing director John Kolenda said it's unlikely fixed rates will dip further and borrowers should pounce. "I think we're very close to bottom of the cycle with fixed rates," he said. "There's certainly been some great pricing out there by some of the majors on fixed rates for two or three terms, we've seen anything from 4.79 per cent to 4.99 per cent, they are at all-time record lows. "So there's all indications we're near the bottom of the rate cycle for fixed rates." Mortgage Choice spokeswoman Belinda Williamson said they had seen as easing of customers fixing loans in the first quarter of 2013 compared to the March quarter last year. The average percentage of fixed rate loans over the March quarter was 20.78 per cent of new loan approvals, she said. This compared to 22.67 per cent during the same period in 2012.Ms Williamson said many customers could be holding off on fixing their loans in the hope rates would fall further. Canstar analyst Mitchell Watson said a lower interest rate could save a home loan customers thousands of dollars across the term of their loan. "Depending on the size of your mortgage, a one per cent difference in interest rate can equate to several thousand dollars variation in interest costs per annum," he said. "Variable interest loans tend to be more popular in Australia but those who are currently shopping for a new mortgage might do well to consider locking in."